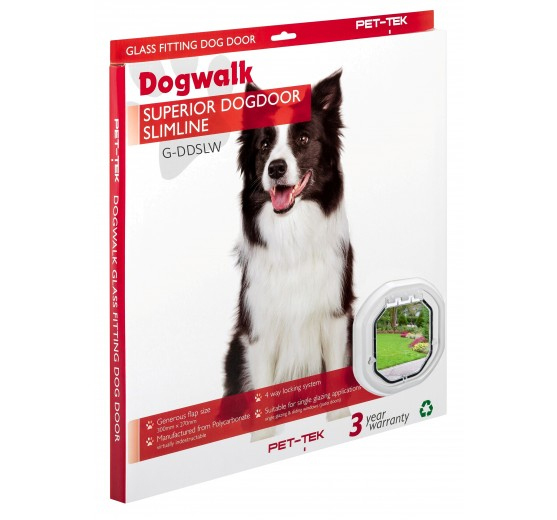 The Dogwalk® Glass Fitting Slimline Dog Door is suitable for single glazing from (4mm – 20mm). 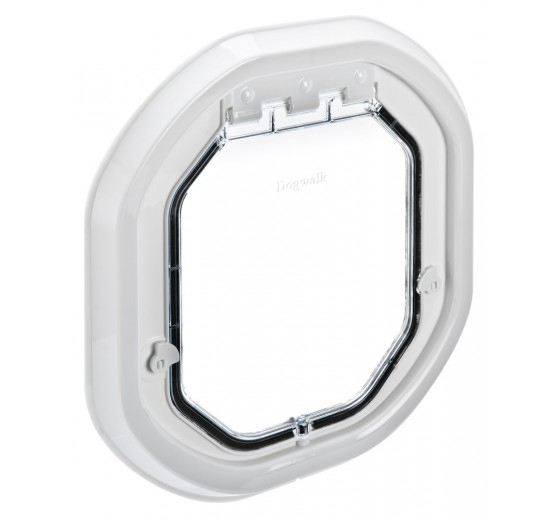 It’s slimline profile makes it suitable for sliding windows and doors. 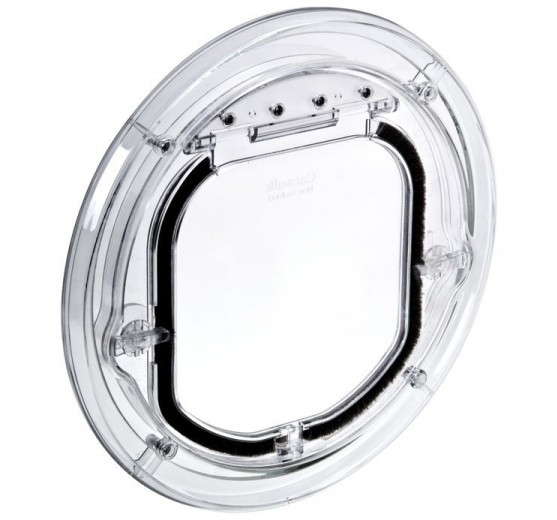 The generous flap size of (300mm x 270mm) makes it suitable for medium to semi-large dogs. 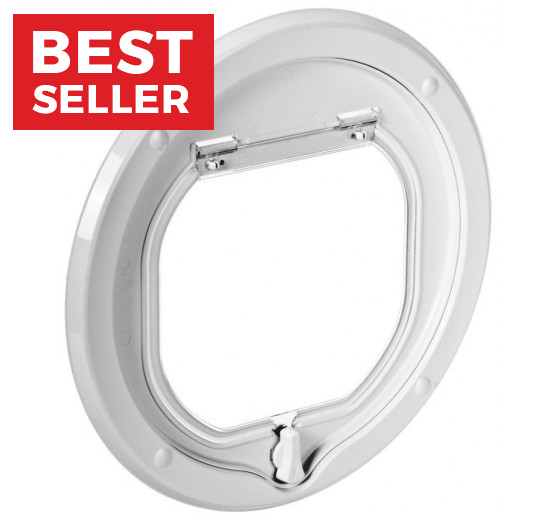 The dog door has 4 way locking and additional security clips for added security. 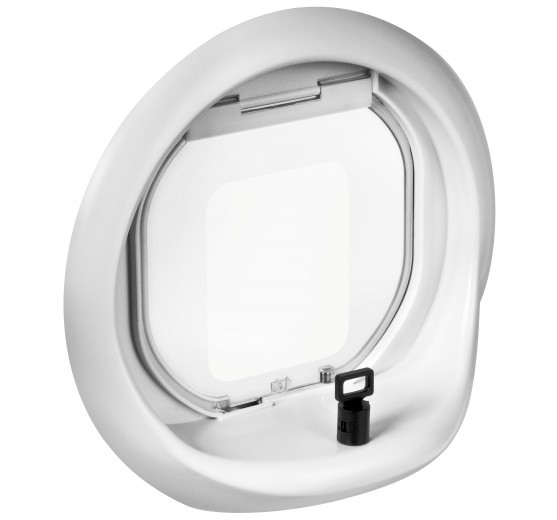 The weather seal will reduce draughts and enable a smooth quiet action. 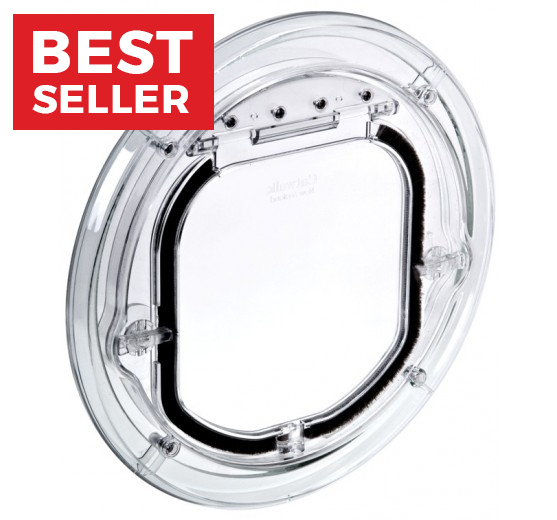 Manufactured from high quality, high impact virtually indestructible (PC) Polycarbonate.